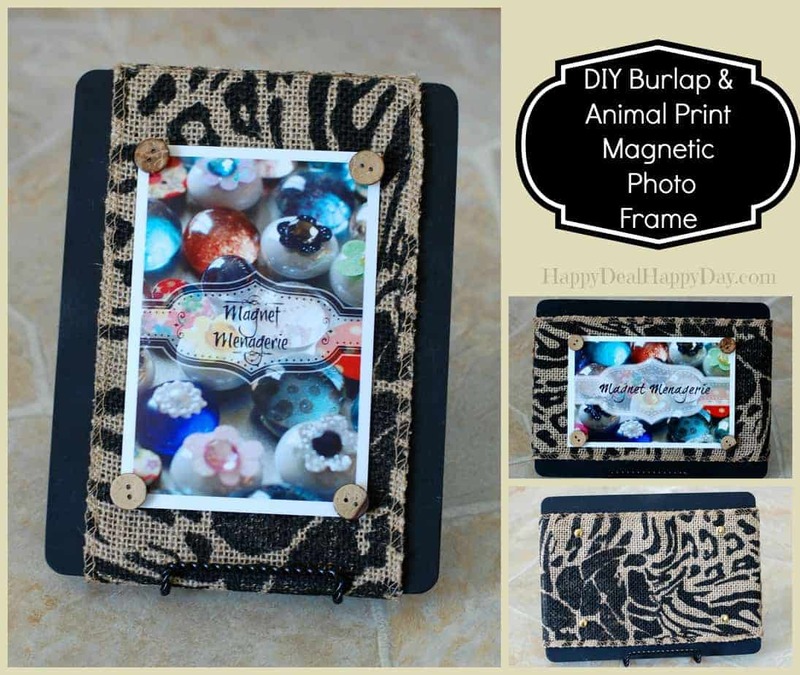 Double Sided Photo Frame: Burlap & Animal Print Magnetic Photo Frame | Happy Deal - Happy Day! DIY Photo Frame: Magnetic Photo Frame! 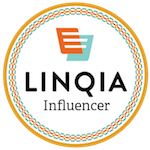 If you didn’t see this post a couple of weeks ago then you missed my news: I’ve branched out my online business and have recently opened an Etsy shop called Magnet Menagerie!! I have expanded my inventory beyond just refrigerator magnets – I have also started listing my magnetic photo frames! My newest additions are double sided wooden magnetic photo frames – making it so you can display up to 2 photos in 4 different ways! How I created this is that I found some unfinished 4X6 wooden frames at Michaels and spray painted them black. I found some animal print burlap and glued that around the frame. I added some brass brads so that you can hang each photo with magnets! The coolest part about this frame (other than the awesome pattern) is that you can put a picture on both the front and the back – so you can easily flip to display a new photo! Plus each side can have a portrait or a landscape photo. That means that this one frame, can hold 2 photos, and can be displayed 4 different ways! Be inspired and you can create your own DIY photo frame! Or even easier is that you can purchase these frames over at my etsy shop! (for $20). 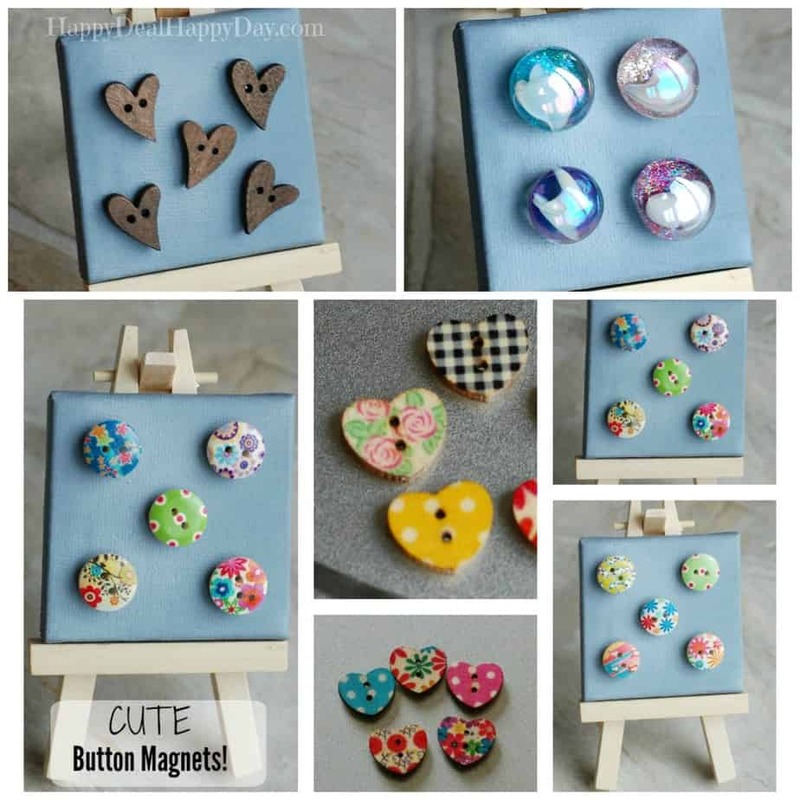 Each comes with a stand and a set of coconut shell button or glitter glass magnets to hold your photo. I have a handful of designs listed, with many more on the way! Custom color suggestions are always an option! 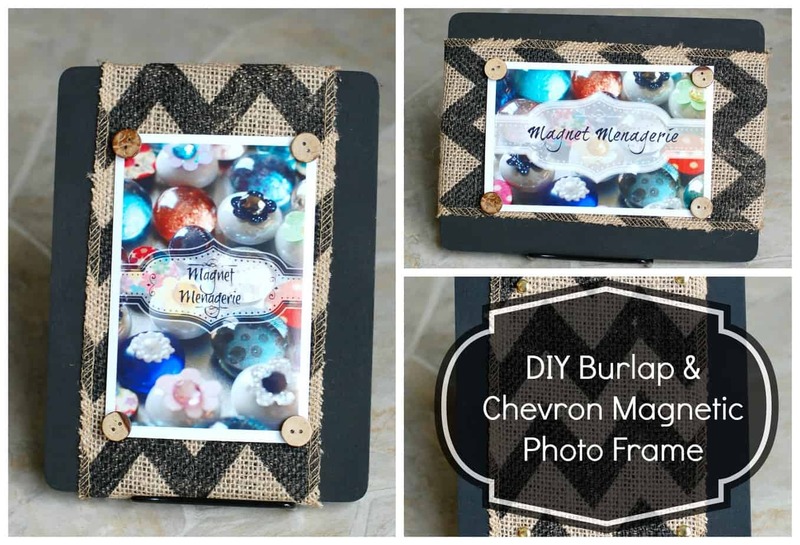 Burlap & Chevron Magnetic Photo Frame!